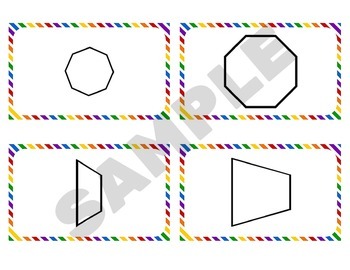 If you need flash cards for practicing shapes, then this set is perfect for you! These flash cards are the standard 3x5 inch size. 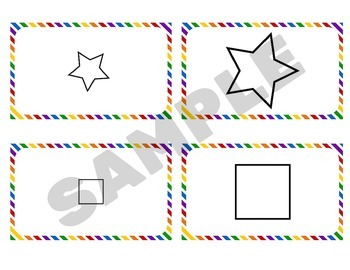 They come with 4 cards on each sheet, and can be cut and laminated for long-term use. 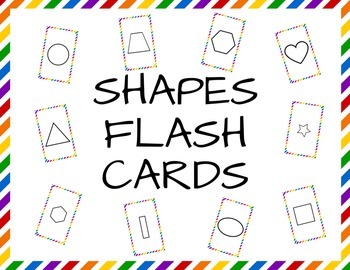 There are 28 flash cards that cover 12 shapes, and shapes have different sizes and can be flipped to have different orientations. I will definitely be adding to this download in the future. Download now at a super low price and get free updates as I add pages! Once downloaded, please do not share the digital file with anyone else or make multiple copies for other classrooms. For my flash cards, you may make multiple copies for your own students only. Please purchase additional licenses if more than one classroom will be using them.